COMPATIBILITY: Connect to Mini-Plug-compatible camcorders. 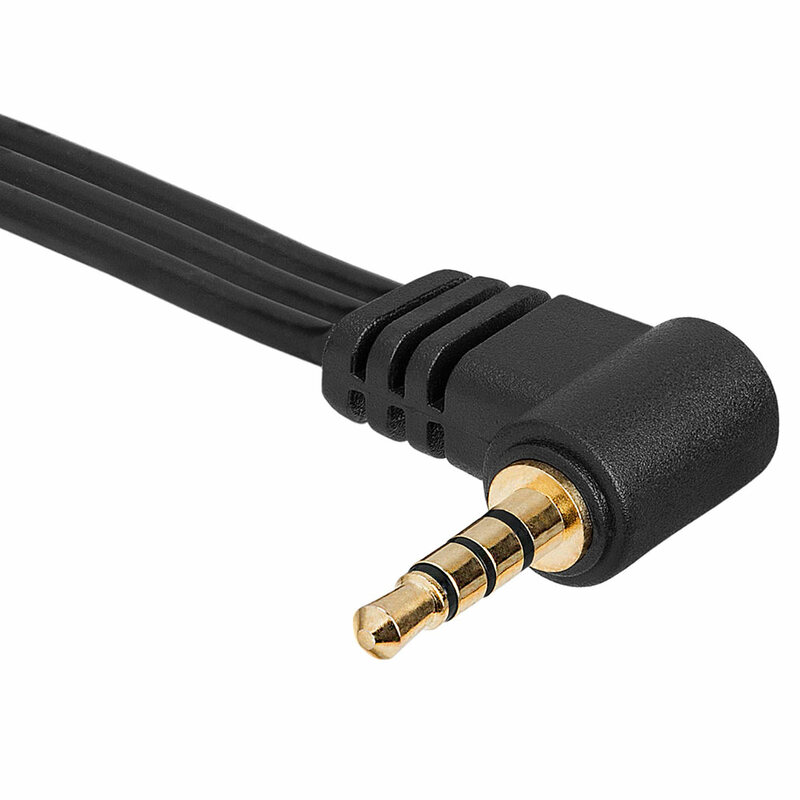 Designed to connect 3.5mm male plug to 3RCA Audio Video female. IDEAL for video or audio equipment with RCA type jacks: DVD player / recorder, VCR, TV, Camcorder, Receiver, Raspberry Pi and other. 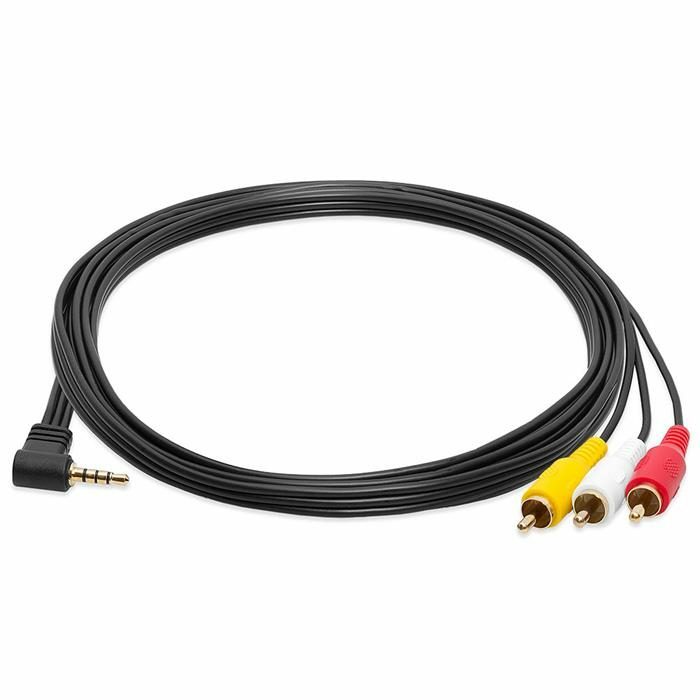 Gold Plated Premium Video Audio Camcorder A/V Cable is Suitable for High-Performance Video and Audio Playback. It is compatible with most MiniDV and Digital8 camcorders, Kenwood, Raspberry Pi, Samsung Galaxy series, iPad, iPod, Canon HF. Sony, Canon, JVC, Samsung, Sharp and Panasonic. This adapter fits a wide range of camcorders that require a 3.5mm cable to connect it to your television. Most camcorders on the market are equipped with a 3.5mm (1/8 inch) connection that outputs an audio and video signal. 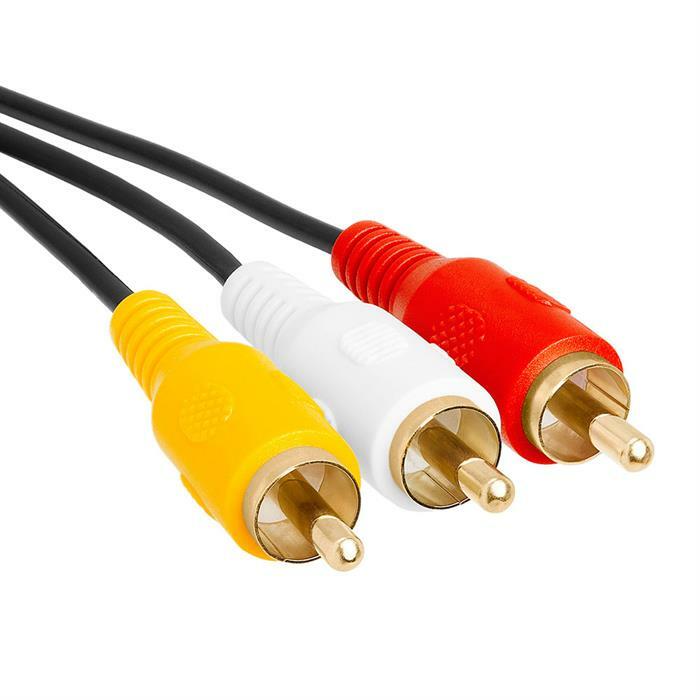 This cable will connect to the 3.5mm connection on your camcorder and then break out into 3 RCAs, Red, White and Yellow. The 3 RCAs can then connect to your TV, VCR, projector, or any other device accepting an RCA connections. 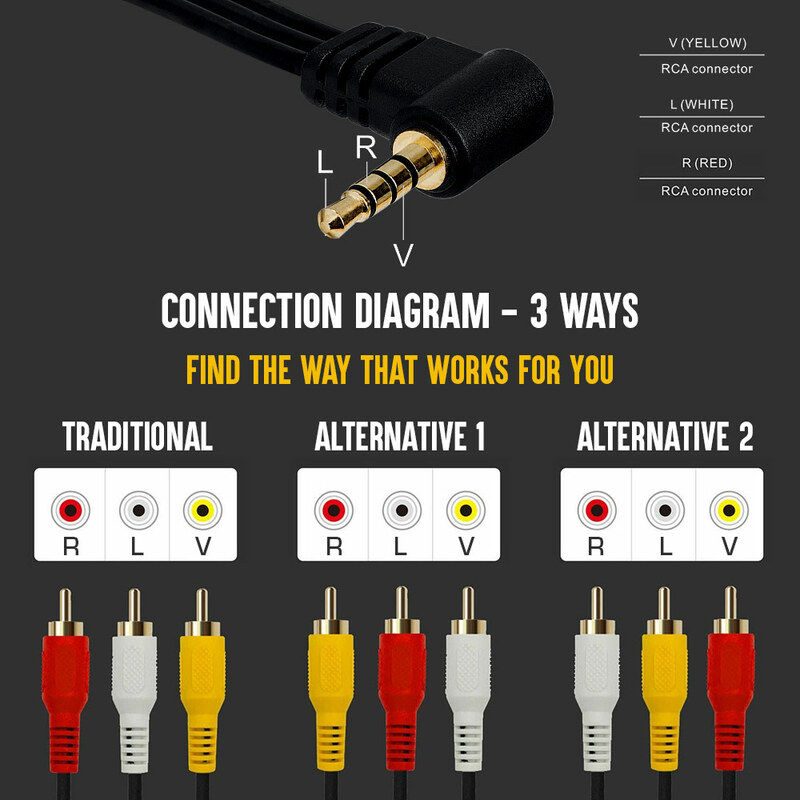 NOTE: In some cases you should swap Yellow, Red and White plugs for Video signal and see which way works for you. 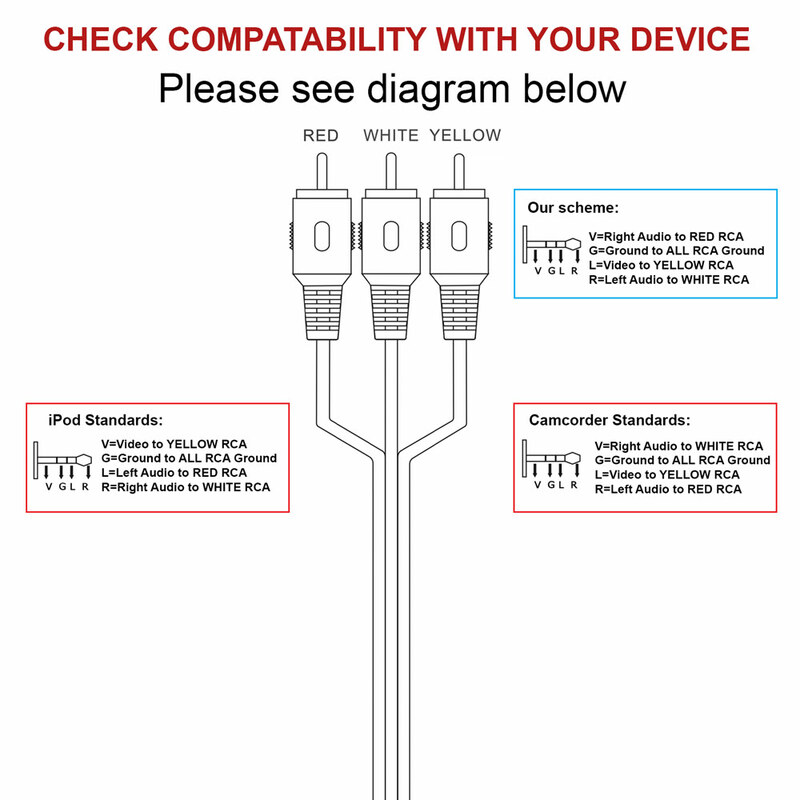 Please check compatibility with your device. See diagram on the product picture gallery. All Cables are Tested 100%. Length: 6 FT 100% Satisfaction: Your complete satisfaction is our number one priority! If for any reason your purchase does not give you complete satisfaction simply contact us for a replacement or refund.